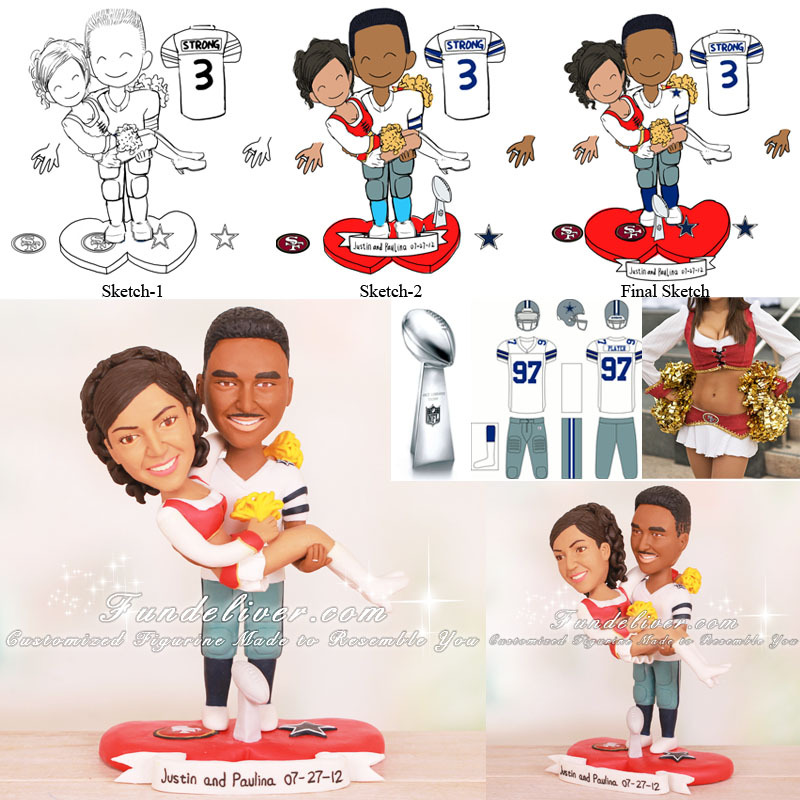 This is a completely customized Dallas Cowboys and San Francisco 49ers wedding cake topper ordered by one of our customers. They would like the groom to be holding the bride in his arms, standing on a red double heart base with both 49ers and Cowboys team logos on. The groom is wearing Dallas Cowboys uniform with #3 STRONG on the back of the jersey. The bride is in San Francisco 49ers cheerleader outfit, holding yellow pom poms. 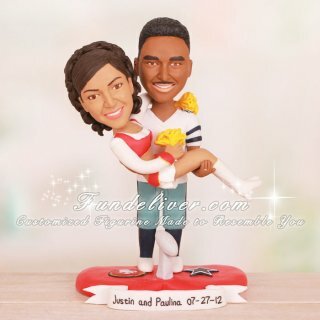 Also they would like to add the Vince Lombardi Trophy and a nameplate saying “Justin and Paulina 07-27-12”.